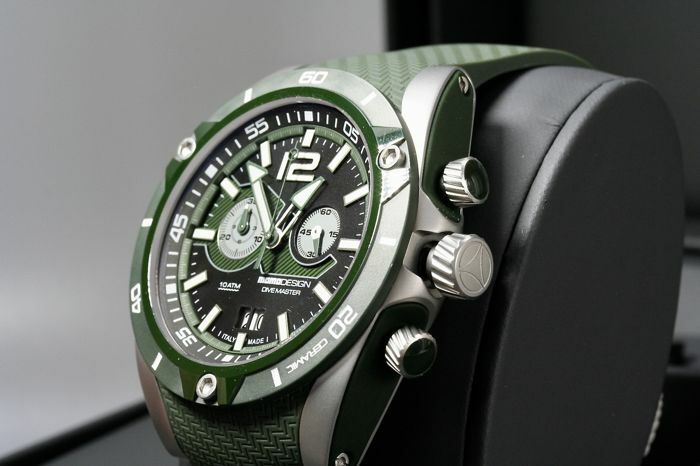 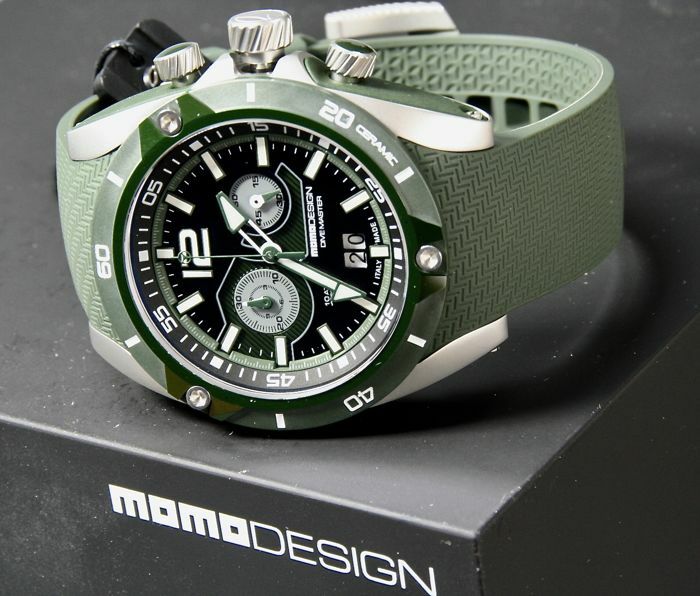 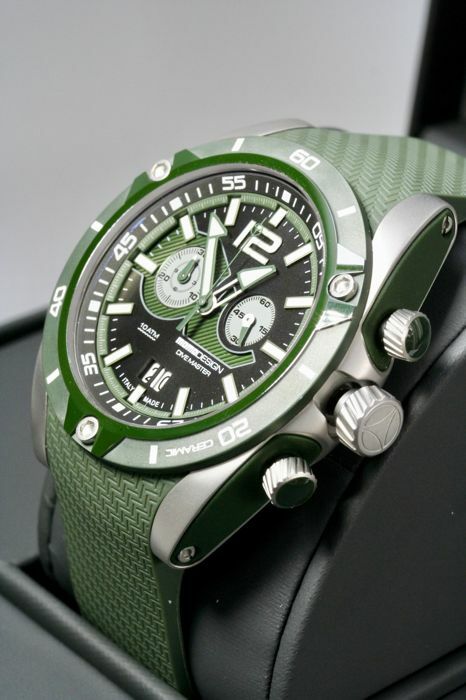 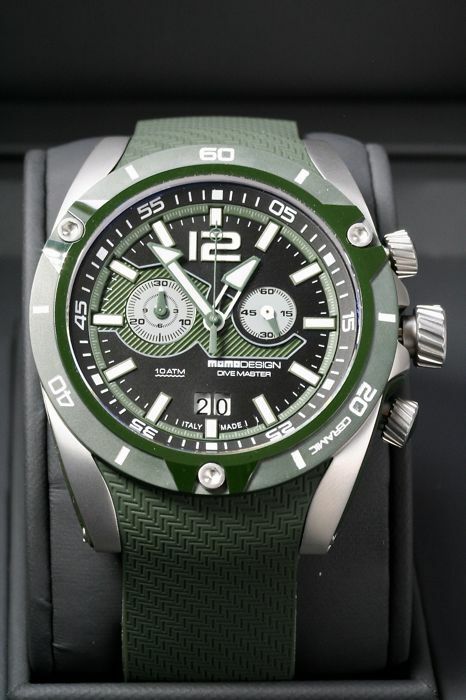 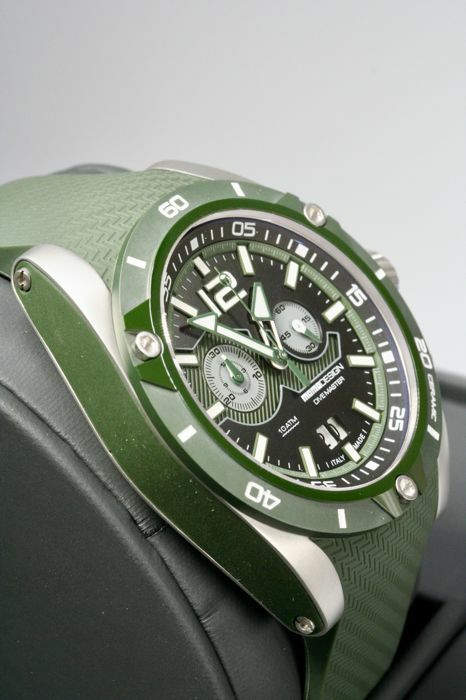 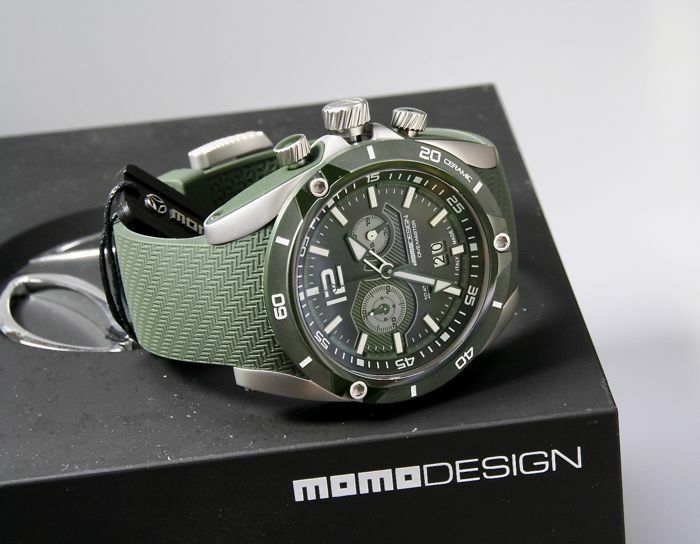 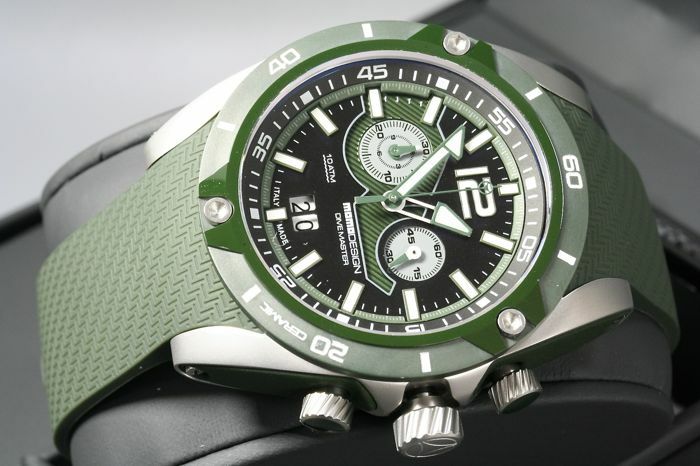 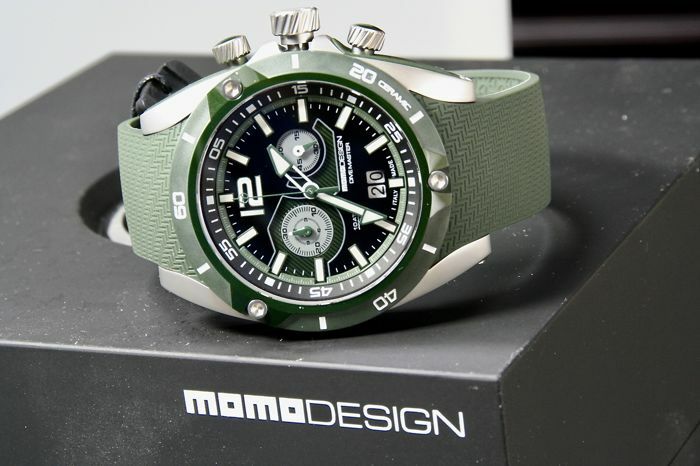 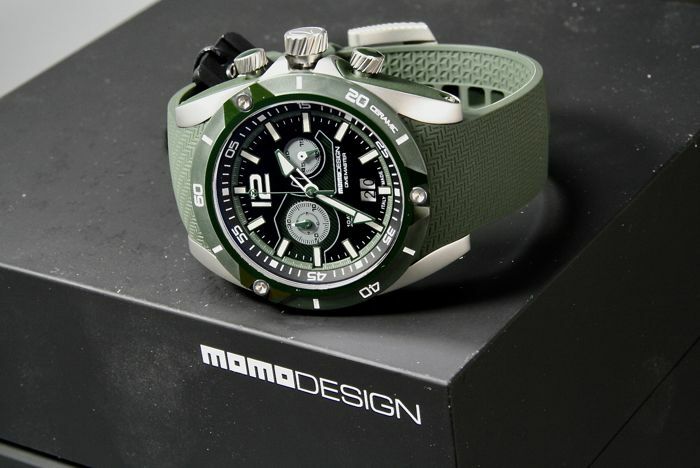 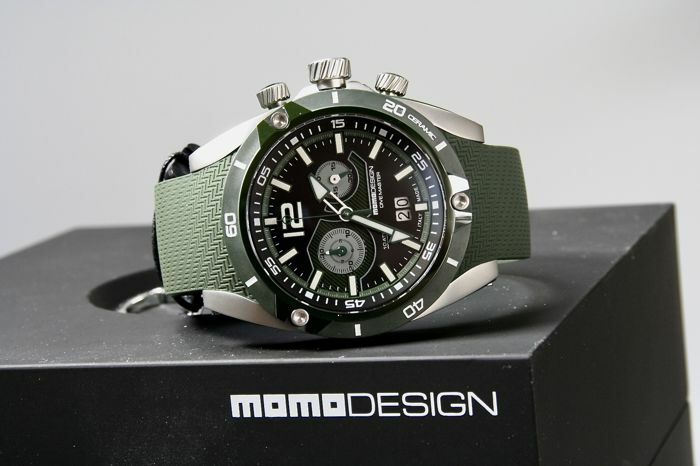 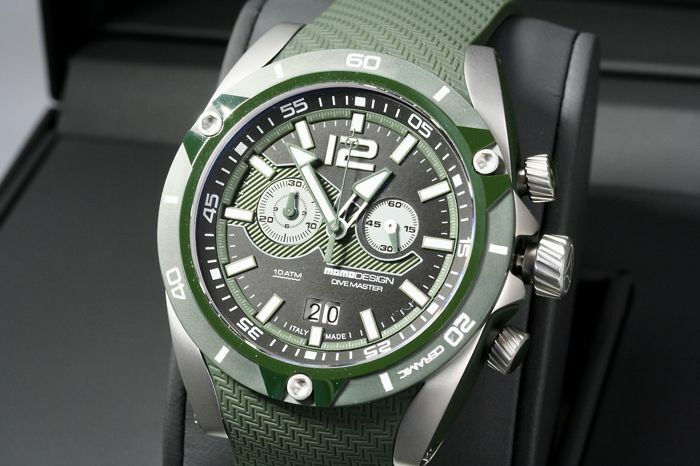 Sporty men's watch from the well-known brand Momodesign. 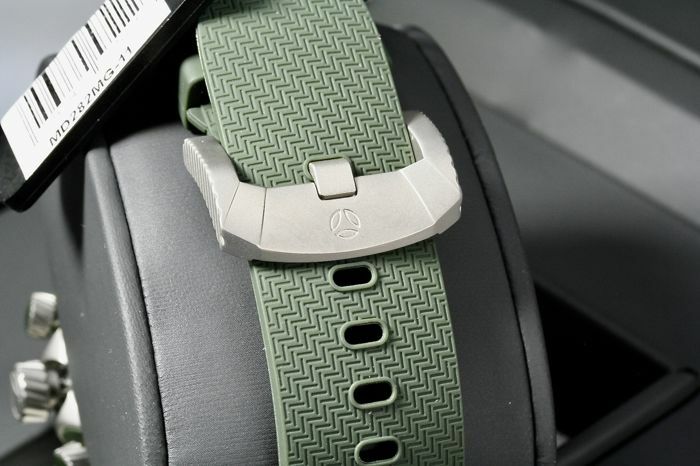 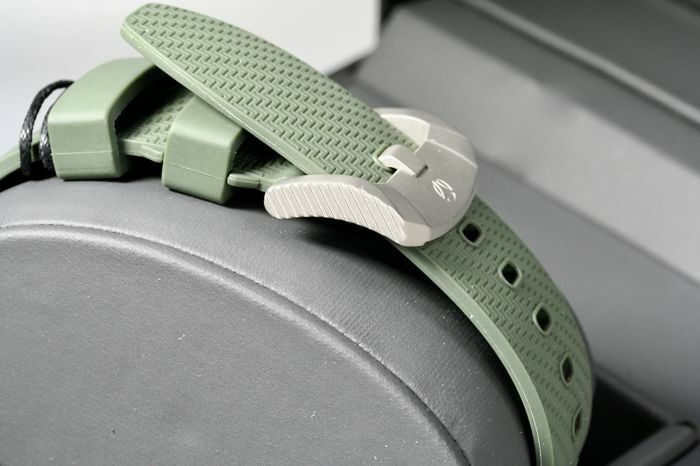 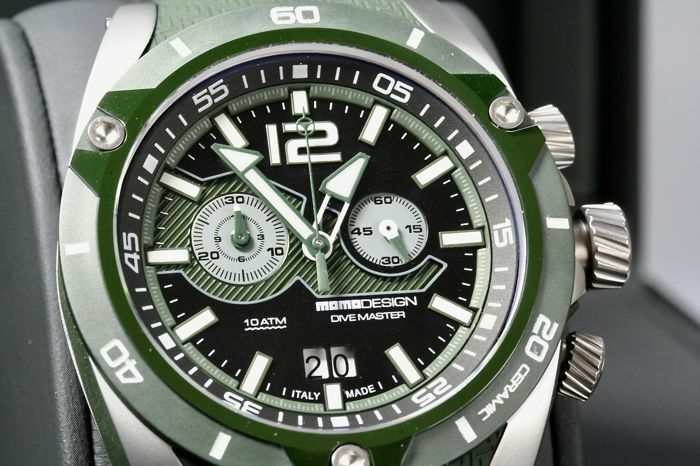 Founded in 1981 and known by a luxury accessory line for men. 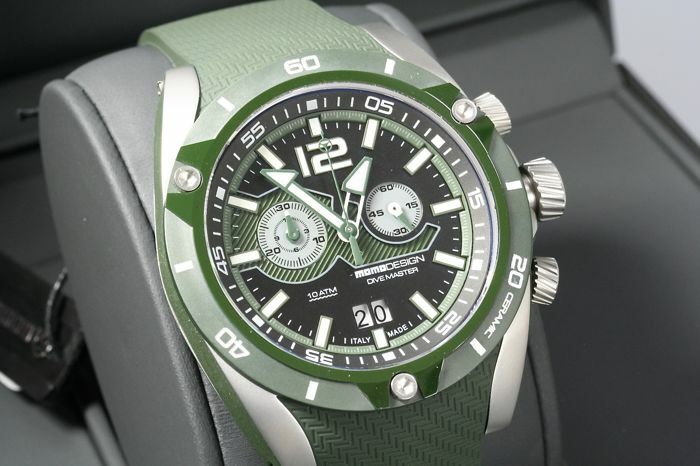 This high-end watch is new! 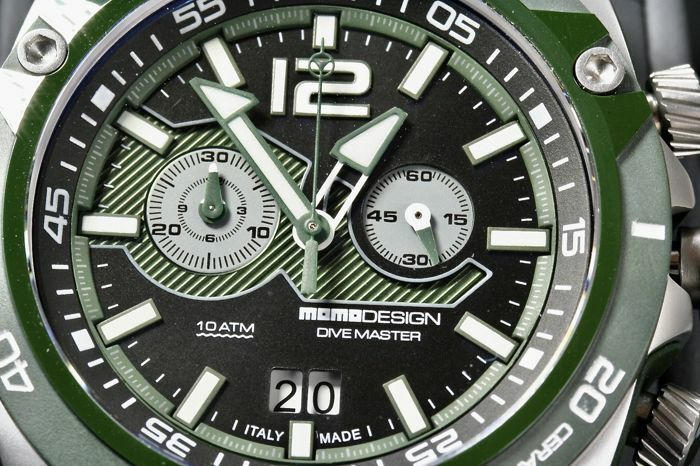 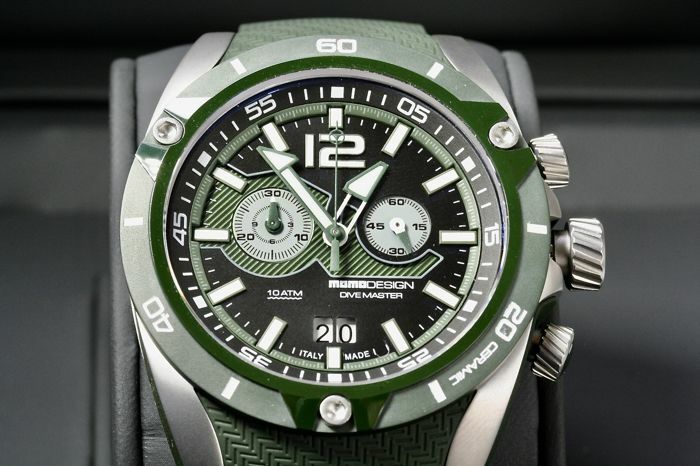 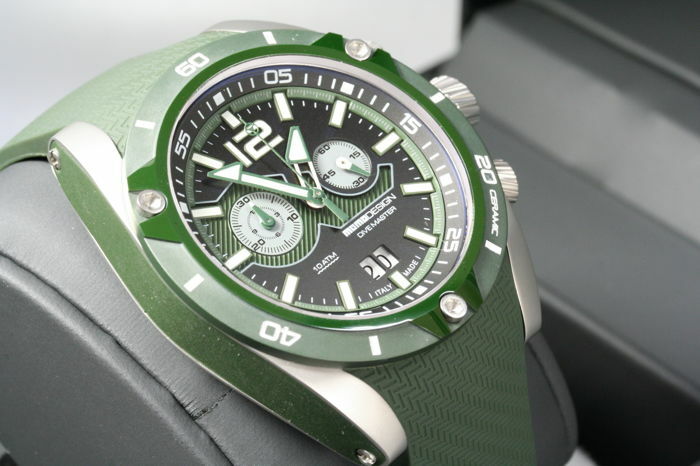 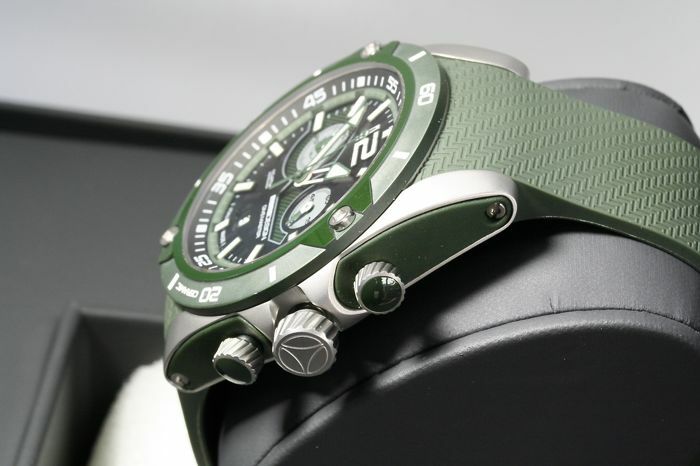 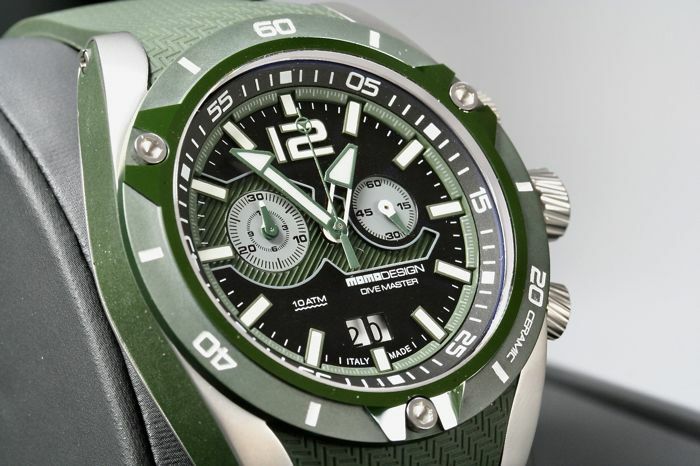 Functions: Hours, minutes, seconds, date, chronograph and luminous hands. 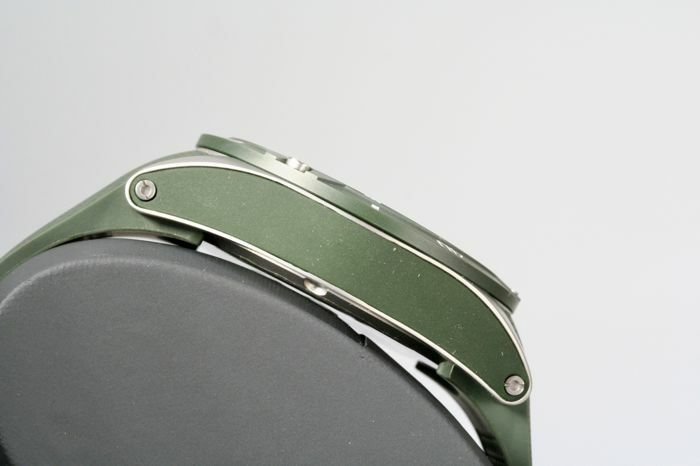 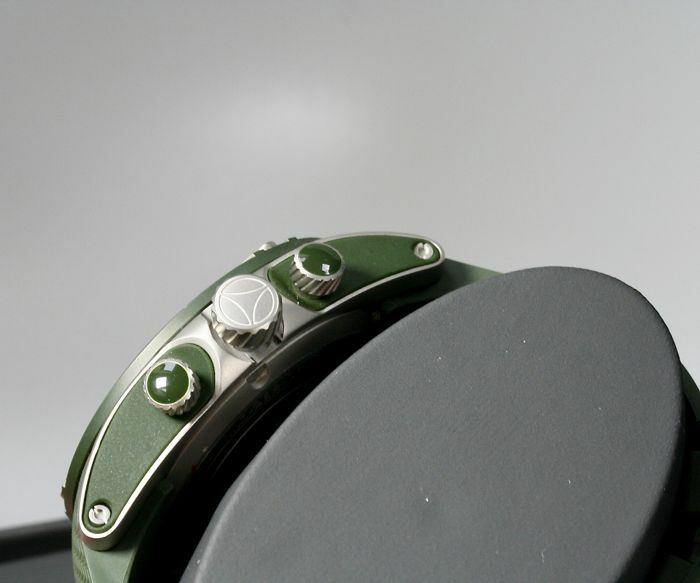 Material case: Stainless steel with ceramic bezel. 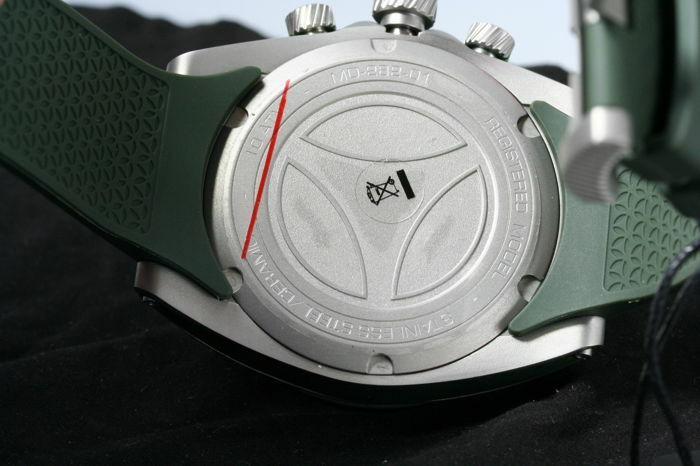 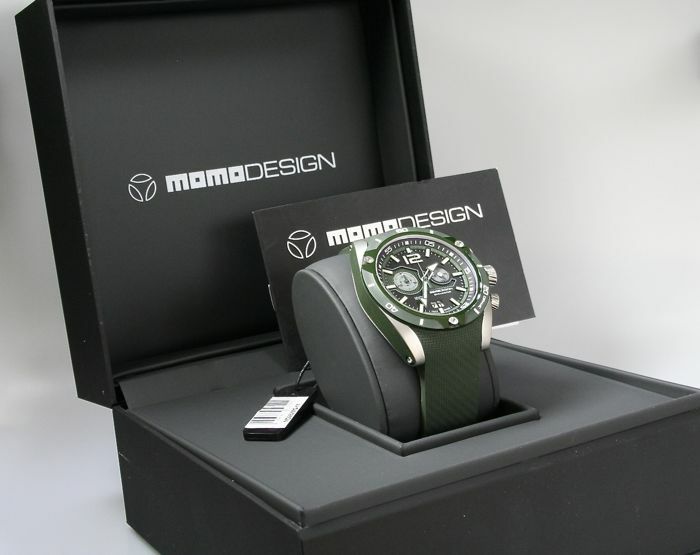 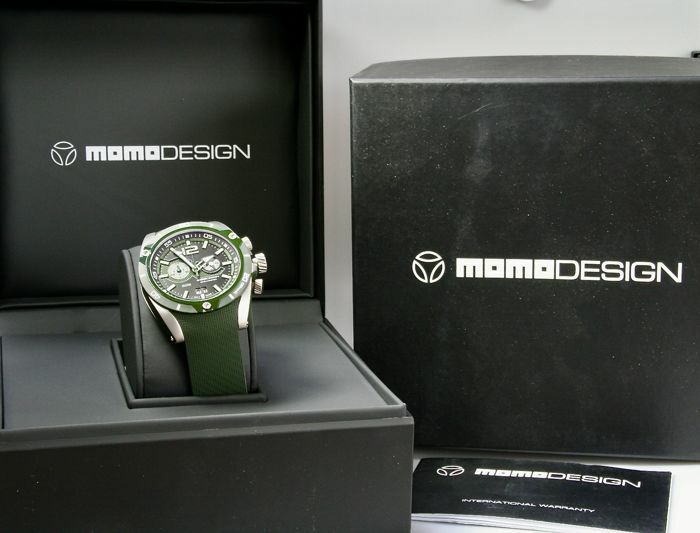 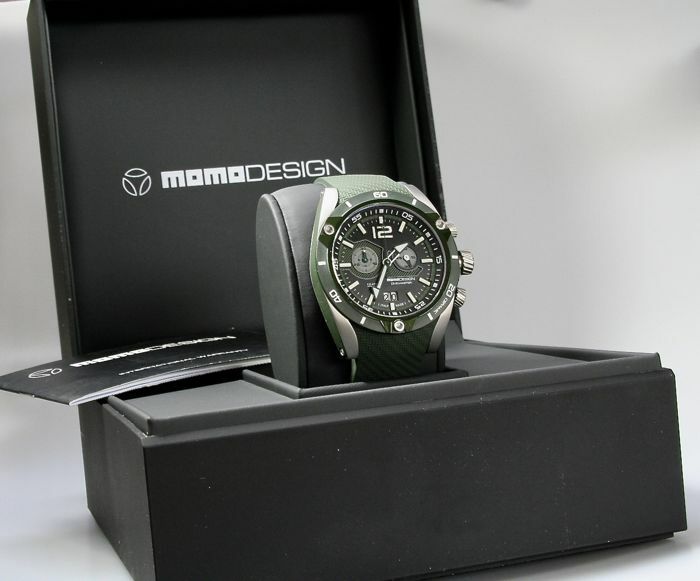 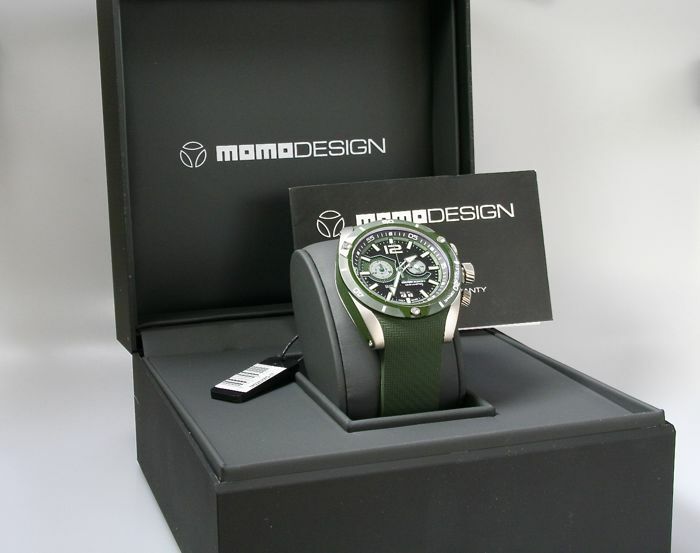 The watch is registered, sent insured with track & trace in the original Momodesign box and with the original documents.